Dell can’t ignore the mobile phone market any more. And of all the big names taking up the tech industry, Dell is one of the last names you’d think of to be releasing its very own smartphone. But joining the Palm Pre, Nokia N97 and possibly the much-talked about Android G2, is Dell’s (apparently) much-hyped smartphone, which we should see much sooner than expected. 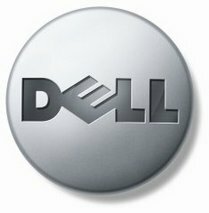 Word on the web is the Dell smartphone will feature Windows 7, as opposed to its own new OS, and is “closer to reality” after two years of rumours and are they/aren’t they speculation. This means it could make its first official appearance at Mobile World Congress in February, or perhaps Dell wants all eyes on its new smartphone by launching it when there’s absolutely nothing else going on, so it can be the talk of the town. Will it make it’s mark on the mobile world? We’ll keep you updated.